Harrigan’s Pub is the premier Irish Pub at the Jersey Shore. Our signature Sizzling Sliced Steak Sandwich is a house specialty for over 38 years! We also offer an extensive menu including fresh fish, steaks, hand-crafted burgers and sandwiches. We feature the perfectly poured Guinness Pint, over 25 Craft Beers, an excellent wine menu and bar of fine spirits. We also some of the best live music around. Whether you’re looking for a great place to spend an afternoon, or a place to linger into the night, Harrigan’s Pub is the perfect destination. 21apr11:00 am- 1:00 pm$5 Sunday Brunch (excluding holidays)Brunch served 11:00 am - 1:00 pm ..... Best Bloody Marys at the shore! 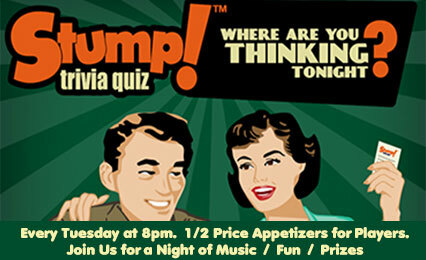 23apr8:00 pmStump Trivia Night ~ 8pm1/2 price Appetizers for players! Bring your friends & test your knowledge! 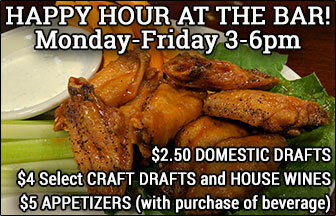 Fun...Prizes...Music...and 1/2 price Appetizers for players! 28apr11:00 am- 1:00 pm$5 Sunday Brunch (excluding holidays)Brunch served 11:00 am - 1:00 pm ..... Best Bloody Marys at the shore! 30apr8:00 pmStump Trivia Night ~ 8pm1/2 price Appetizers for players!